UK pub group Punch Taverns is buying Innspired, which operates leased and tenanted pubs across England and Wales. 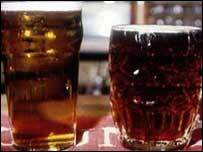 Punch is buying the estate of 1,064 pubs, in a deal worth £335m ($598m) including £258m of debt. More than half of Innspired's pubs are in the south of England. Most of the estate is freehold or long leasehold, consisting of "community locals". "The estate comprises stable, cash-generative pubs with significant potential for investment," said Punch. Innspired was originally formed from the merger of two pub estates, Ushers of Trowbridge and Alehouse Limited. Recently, it acquired "a sizeable portfolio" from Scottish and Newcastle. Punch said that at 31 October, 2003, the latest audited accounts, Innspired's net assets were £34.4m. Before the deal, the Punch estate comprised 7,334 pubs across the UK. "Innspired is an excellent fit with Punch, providing improved geographic spread and diversity," said Punch in a statement. "Following integration, synergies are expected to be in excess of £3m per annum, generated from purchasing benefits and other cost savings."